Please consider a tour of this fully remodeled historic Victorian Home. Located on a full lot and a half on the north side of Colorado Avenue in the center of Telluride. This home is being offered fully furnished, creating the perfect opportunity to purchase a home and be settled in for summer in Telluride. This award winning designed home has been featured in Mountain Living Magazine and was a star during the 2017 Art + Architecture weekend. If you would like to build a guest house, garage or combination of both you are in luck. This property has additional square footage to add to this already spectacular residence. 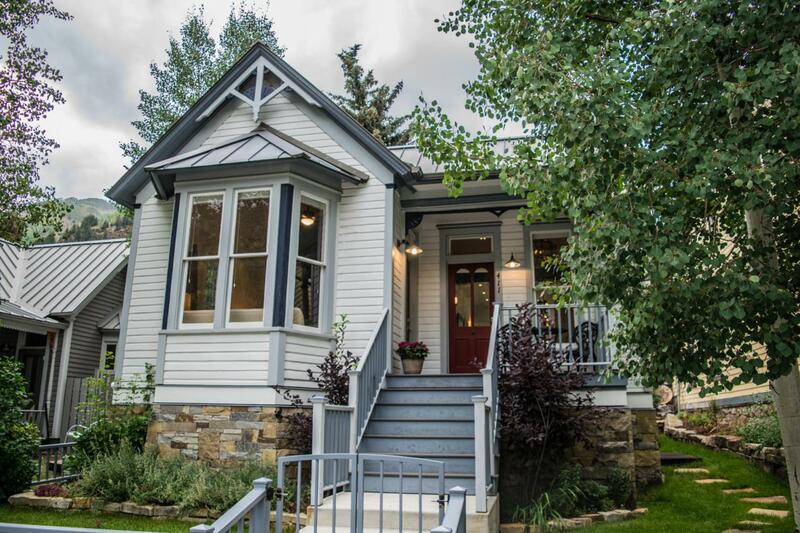 You will LOVE the backyard, a rare amenity here in Town.This property is located in the Historic Residential District and is accordingly subject to short-term rental restrictions per the Town of Telluride's Short Term Rental Restrictions. Listing provided courtesy of Rosie Cusack of Telluride Luxury Rentals And Real Estate, Inc.